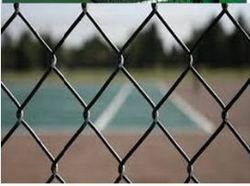 Our experience in the installation of over 250 sports surfaces all over the country makes us one of the best in the field. We are an ISO: 9001:2015 certified organization giving our utmost priority to quality of installations. 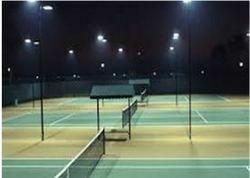 ARK Sports Infra offers world renowned acrylic surfaces. Our acrylic surfaces are designed to meet the varied and demanding requirements of sports that are played at professional and amateur levels. Using the best quality, standards of excellence are maintained throughout the installation process. Acrylic color coating is designed for application over both asphalt and concrete bases. Vivid color variety, proven durability, supreme playability. It is specifically engineered for performance and lasting beauty. 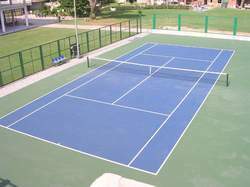 Can be used for Tennis, Badminton, Basketball, Volleyball, Walking tracks, etc..
Asphalt Base for Acrylic(Synthetic Surfaces) with wet macadam base and Asphalt. Same as Thar Roads work. 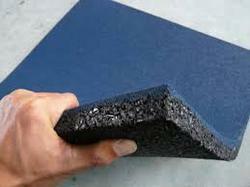 Provides more cushion and durabilty for Acrylic Surfaces. 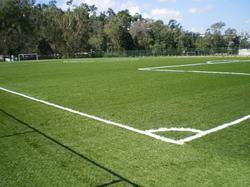 Artificial Turf with different variants and Sizes suitable for all sports. FIFA Approved. 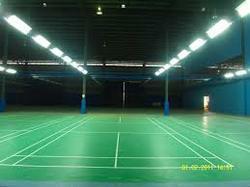 ARK SPORTS INFRA supply Maple sports flooring. We recommend the maple floor as maple is approved for tournament play. 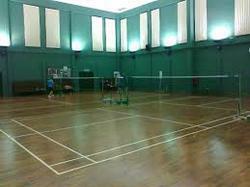 It is one of the hardest of hard woods and is ideal for basketball, Badminton and Squash Court play. Our floors are laid over wooden sleepers and cushion rubber pads. They are a tongue and groove system and finished with PU sealer. Wood Floor is designed to withstand heavy wear uses the Basketball, Squash and Volleyball. PVC Sports Flooring enhances the athlete’s performance by ensuring high shock absorption, impact resistance and sliding properties. They are available in highly authentic natural wood finishes and in a wide range of solid colour. These sport surfaces are much superior to conventional wooden sports flooring since moisture, dampness and termites do not affect it and hence require very low maintenance. It is available in different thickness ranging from 3.5mm to 14mm.